Don’t be fooled into thinking that Search Console is just for Technical SEO, there’s a host of features. In this video, Laura Hogan shared her SEO tips and tricks that’ll shape your day to day strategy: from keyword research to content and backlinks. Laura started her presentation by explaining that you need to find the quality sites and update the links. This will also let you spot low-quality sites you can remove. Internal crawl errors are also can be easily taken advantage of to boost your SEO. It is really important to pay attention to crawl errors, especially if you’ve recently migrated or changed urls. That’s why Laura suggests using crawl errors for link opportunities and changing internal links to correct version. Internal links are also very important. Priority pages should to the list. If you don’t have internal links, then it’s time to interlink. Start with related pages and your blog. Internal links help increase your CTR, too. But do not use footer links because they bring messiness into your linking structure. So make sure that your priority pages have the most internal links. And the best thing about it, is that you don’t need to use any coding. So why make it difficult for Google? Mark up your data, and everyone is going to be happy. Search analytics report should be your best friend because every part of this report is actionable. Use the pages report to find top performing pages and potential for improvement. You can filter data and layer comparisons. It is a detailed report of your actual data. So, can we improve the CTA? Let’s make sure that content is up to date, push blog via social media and mention blog in the next newsletter. Mobile results are larger and include images. Desktop does not. So your quick win here can be to ensure that blog imagery is eye-catching. Lauren also presented us with the top 5 uses for the search analytics report. Check your CTR, if positioning is high and the CTR is lower than expected, review and tweak your meta optimisation. Check your rankings for your top 25/50 search queries on desktop and mobile — anything towards the top of page two has a quick win potential. Filter the queries report by questions (who, what, why, where, when). This will give you an idea of instant answers to target that you know will drive traffic. Check trends through impressions and queries. This will help you understand seasonality and potential traffic. Apply data findings across other marketing channels, particularly adwords and social. Some may say disavows don’t have benefits anymore. But Laura disagrees. She suggests for you to consider a disavow at a keyword level as well. Her tests have shown it works. She also recommends to disavow all anchor text links for a term with over 200k searches. Laura said that she loves links, and uses them with referral traffic in mind rather than rankings. She summed up with reminding our listeners to keep your disavow up to date. Laura Hogan is Head of Search at Ricemedia. She has over five years in the industry, both in-house and agency side, specialising in SEO and PPC. 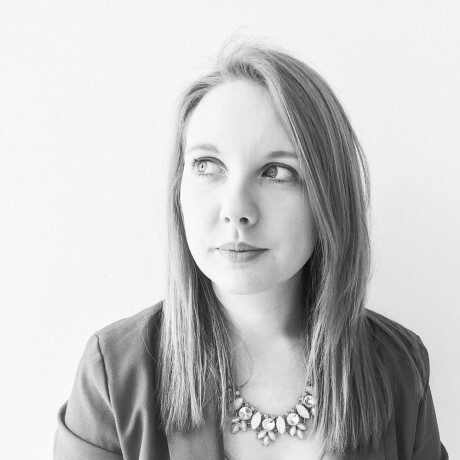 Laura’s previously spoken at events including BrightonSEO and Branded3 Digital Horizons. She’s also featured on the Authoritas This Week in Organic live stream. When’s she’s not stalking the Google SERPs, you’ll find Laura pretending to be Mary Berry, buying ridiculous gifts for her dogs or watching an entire series of a TV show in a day.